Take a detour from one of the streets in the 19th arrondissement and you’ll find a steep staircase towards verdant gardens and buildings covered in ivy. It’s not a hidden entrance to Parc de Buttes Chaumont, as many think, but an entrance to one of the most surprising and unknown areas of Paris: Butte Bergeyre. 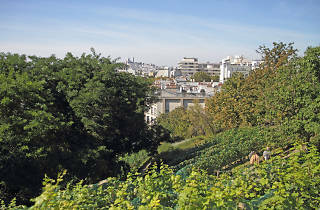 Nestled 100m up, the hill is home to five streets and 1200 residents, mostly artists and architects, who are lucky enough to have an expansive – and peaceful - view of Paris right on their doorstep. The public only have access to this green little patch of heaven during the last weekend of September (la Fête des Jardins) and the first weekend of October (la Fête des Vendanges). For Saturday 1 and Sunday 2, you can have a sneak peek of the garden and taste the la cuvée du clos Bergeyre 2015, a wine which blends pinot noir and Chardonnay grapes. Banned from sale on any other day, this is a rare opportunity to try wine from the city's only vineyard and from previous vintages. 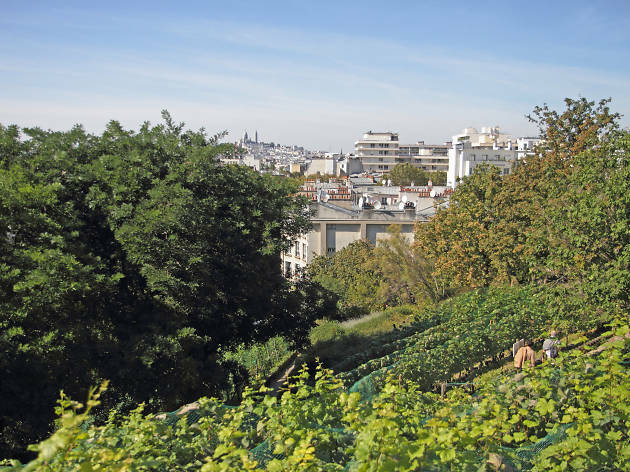 And don't panic if you’re not in Paris this weekend, make up for it by visiting Montmartre to wander round its charming, winding streets and gardens. For more information about Fête des Vendanges events, click here.